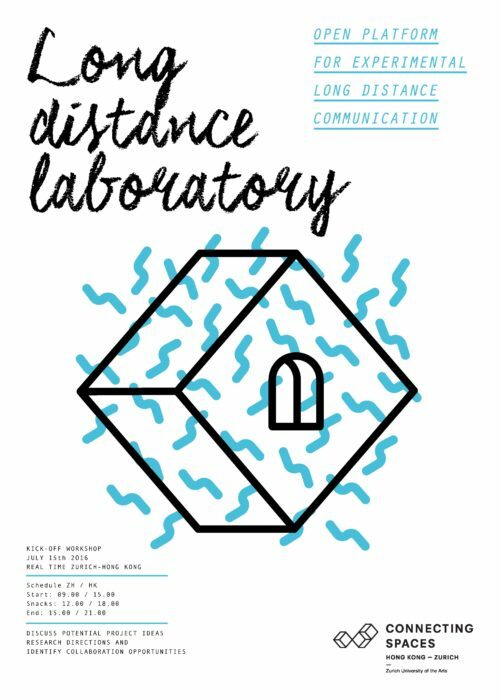 The Long Distance Laboratory is returning this summer with a half-day kick-off workshop to take place in Hong Kong and Zürich simultaneously. The project invites artists and designers from Hong Kong to join their counterparts in Zurich in brainstorming and discussing project ideas and research directions through high-bandwidth internet, identifying possible collaboration opportunities. LDL is an annual open-ended artistic project. LDL develops tools that facilitate remote communication and collaboration over distance and time. These tools mostly operate in the digital space but often also extend into the physical space. Under the framework of Connecting Spaces Hong Kong – Zurich, LDL’s primary goal is to intensify the connectivity between Connecting Space Hong Kong and the ZHdK Campus in Zurich.